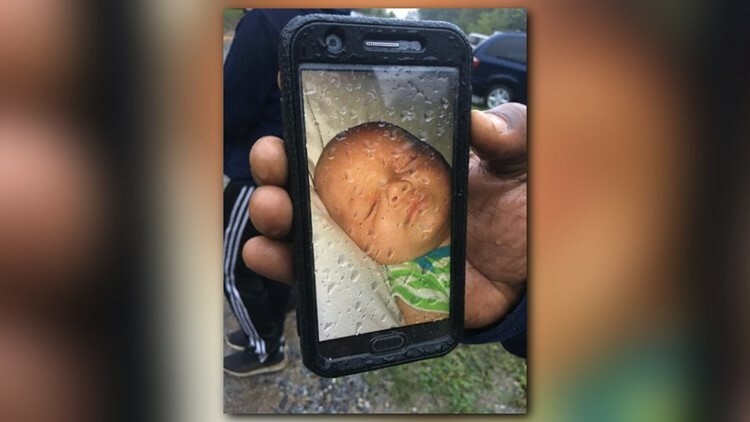 GASTON COUNTY, N.C. — A 3-month-old child died Sunday afternoon after a tree fell on a mobile home in Gaston County. County commissioner Tracy Philbeck posted about the death on Facebook. "Tragically, a three-month-old child has died as a result of injuries sustained when a tree fell on a mobile home in Dallas, N.C. Please keep this family in your prayers. Please take this storm serious; trees are continuing to fall and with saturated ground more is expected." The family shared a picture of the baby, Kade Gill, with NBC Charlotte. They said his mother was holding him when the tree came crashing down.